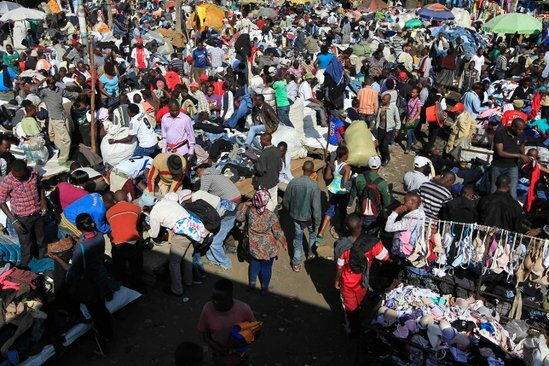 The Government is proposing a ban on imported second had clothes popularly known as 'Mitumba' in Kenya. According to the Principal Secretary Wilson Songa the ban is expected to herald immense benefits for the country including eliminating what he termed as "health risks" associated with the imported used clothes and protect local textile and leather industries. He went on to say that banning the mitumbas will not only improve the textile industry and the economy but it will also improve on textile standard as they will be regulated by the Kenya Beaureau of Standards. "By doing away with those second hand clothes our textile value chain will become so much more efficient because we will not have unnecessary competition which really does not benefit us at all," he said. This is big lie.Kenyan textile industries did not produce quality products.And their products were very expensive.